Fantastic..I can almost smell it. Its lovely , does it have a common name ? Winter Sweet is it's common name Driad. That is certainly going in my favourites,P.I will look up the info about it! Very Nice Ph a lovely plant..
Ha ha ML..it's another small one. this is one of a kind, very beautiful! don't have leaves? Hi Junna, it flowers on bare branches in the winter, then the leaves appear in the spring. 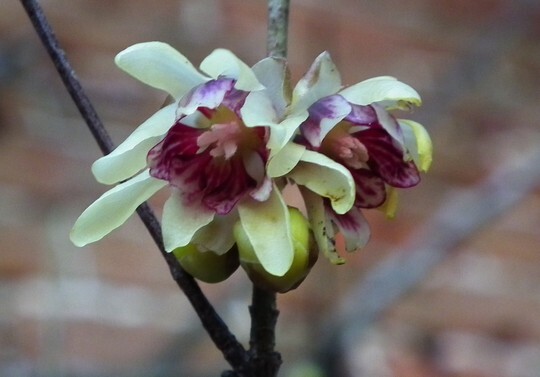 See who else is growing Chimonanthus praecox. See who else has plants in genus Chimonanthus.